Customer satisfaction is a very subjective thing to measure. It really is a matter of perception and experience. If you meet or exceed the “unsaid-unwritten” expectations of your customers, their perception will be a positive one. Fail to meet these expectations, and you will find them less than satisfied or happy with you. One method to make sure you meet or beat these “unsaid–unwritten” expectations is to do your homework or research. Often, within an industry there are certain “unwritten, but still valid” expectations, which serve as the norm. Make sure you know what they are and use them as the bottom line in your service and performance. If you want to succeed in gaining their repeat business and loyalty, make sure you go well past the “normal” expectations. 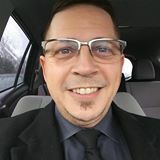 If you work in Central Pennsylvania and own a business, I’d like to talk with you, about working together to help you grow your business. 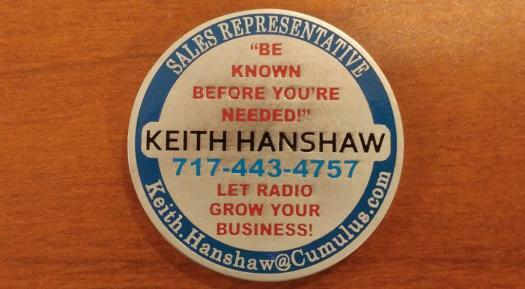 Contact me atKeith.Hanshaw@Cumulus.com to request a meeting or call me at 717-443-4757. People don’t buy simply on your say-so. A prospect must go through a period of self-discovery before making the decision that your product or service is the right solution. Resistance is pre-programmed and people don’t like to be told what to do (or buy). A better approach than “selling by telling” is to ask key questions or relate third-party stories that allow the prospect to discover the benefits and advantages of your product or service. When you ask questions that lead to a discovery, the prospect then “owns” the discovery and the resistance disappears. After all, people don’t tend to argue with their own data. – Making the cold call approach confrontational rather than consultative. When prospects feel confrontation, they often feel provoked or challenged. Salespeople who are too anxious to close the sale in a cold call decrease the odds of closing. Successful salespeople get a clear picture of the prospect’s objectives and show how their product or service will meet them. – If the prospect feels pressure rather than help. When prospects feel pressure during a cold call, they feel that demands are being placed on them. Creating demand and force won’t work in a cold call. Patience, respect and understanding will give the salesperson a good feeling for the prospect’s motivation to buy. – When the salesperson shows self-focused goals rather than prospect-focused ones. Prospects have a multitude of choices of how and what to buy. Effective salespeople help, support and share knowledge with their prospects, especially during cold calls. – Where did I run into problems? – And what could I do next time to get even better results? This is absolutely the only way you will improve. Sales is a grand experiment – customers change, markets change, your offerings change, and so does your knowledge base. Unless you’re continually learning, you’re losing ground. Slumps happen…. But the best salespeople have go-to methods that help them overcome slumps and get back to their winning ways. Slumps are great opportunities to revisit the fundamentals. Salespeople often find it’s the little things they’ve gotten away from that make the difference. Choosing one basic skill to focus on can be an effective way to center a sales presentation or pinpoint the problem. Most salespeople have loyal customers who appreciate their dedication and drive. Those customers can provide the perfect boost of confidence a salesperson needs to get back on track. It may help to focus on these loyal customers for a couple of days instead of concentrating on new accounts. Closing some repeat business may provide welcome success after struggling out in the field for a few weeks. Top salespeople often break down their responsibilities by task to see if there are any opportunities for better time management. Is there a better time or day to cold call? Are there low-impact tasks eating up a salesperson’s time? Reprioritizing gives salespeople a great chance to refocus on areas where they can have the most impact.